Love yourself some cold brew that you can sip on all day long? You must hit up Roastery Coffee House for its Nitro Cold Brew Coffee. It's perfect for those balmy noons. When we heard that Roastery has launched a Nitro Cold Brew Coffee, we knew we had to check it out. So, we walked into the coffee shop one morning and amidst the buzz of the coffee machine and its guzzling, we spotted the making of this nitro brew. Infused with 70 per cent nitrogen and 30 per cent carbon dioxide, this cold brew is less acidic and more creamy. With the carbon dioxide adding a foamy top layer, this brew is sure to appease even non-coffee lovers. And the best part? It can be blended with flavours like Appy Fizz, Pomegranate etc. for the ones who prefer a sweet tinge to a bitter aftertaste. We love our coffee bitter and asked for a brew without an added flavour and what arrived was a beautiful brew that changed its colour as it settled. We let the first sip linger on for a while and took another gulp that reminded us of a chilled beer on a sultry noon. As smooth and creamy as it tastes, it also gives you a perfect caffeine kick. Plus, if you’re a caffeine addict and consume nearly 7-8 glasses of coffee a day, this brew is perfect for you as it comes with fewer side effects. 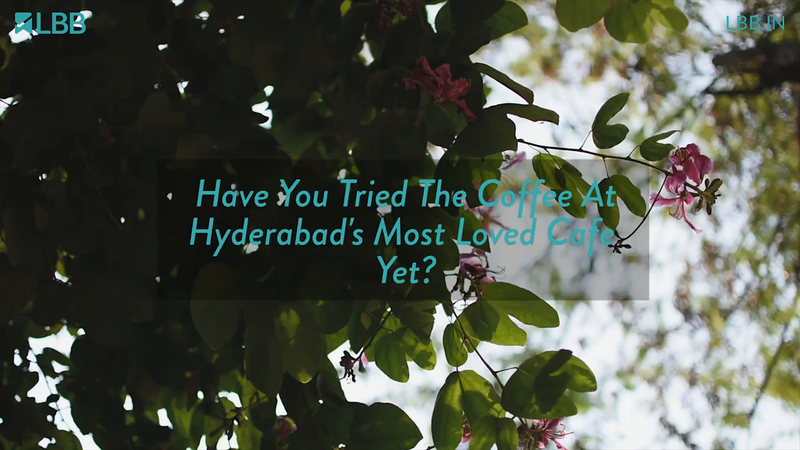 We’ve been told that the coffee is sourced from Chikmagalur, and they’re experimenting with more coffee variations.